(TIME.com) - Just before heading to bed one night in August, I got a text message from Bibhu Mohapatra. It contained a photo of First Lady Michelle Obama in a citrus-print sleeveless sheer yoke cocktail dress. Above it, a message: "Just found out, Michelle is wearing the yellow dress." Mohapatra has dressed Kristen Wiig, Hilary Swank and Glenn Close, but this was different. There she was, America's fashion icon on The Tonight Show, validating Mohapatra's work before a national audience. It is Mohapatra's moment, but it's a story that almost wasn't. He had never been on a plane before 1995, when he left his native Orissa, India, at age 23 with a one-way ticket to Logan, Utah, to pursue a master's degree in economics on an academic scholarship to Utah State University. Between homework assignments, he'd sketch. And sketch. Until, by chance, a professor saw his sketchbook of dresses, jackets and coats and said, "You're in the wrong business." So Mohapatra called his dad, who told him, "Close your eyes and picture yourself 10 years from now, having the most fun, being the most happy - that's your answer." Mohapatra packed his bags, moved to New York City and landed a spot at the Fashion Institute of Technology, where he could finally pursue his lifelong passion. 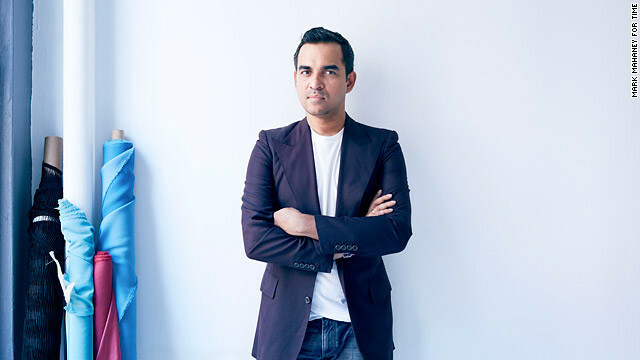 Now 40 and a newly minted member of the Council of Fashion Designers of America (CFDA), Mohapatra launched his namesake label in 2009 after nine years at J. Mendel, where he worked his way up from assistant to design director.